According to a 2016 report of the United States Department of Agriculture, Korean’s per head consumption of beef ranked No.18. The international average consumption per person is 17.4 pounds but Koreans ate average 34.2 pounds (1 pound equals 453g). The figure is quite surprising as Koreans are known to eat a lot of vegetables. However, it indicates that Korean’s love of beef is bigger than we thought. Koreans prefer Korean beef despite the price is relatively higher than cheap imported beef. Back in the days, eating pork or beef was a luxury but today more people are sparing no efforts in finding best beef restaurants. It is notable that a considerable number of TV shows are related to cooking and food these days. 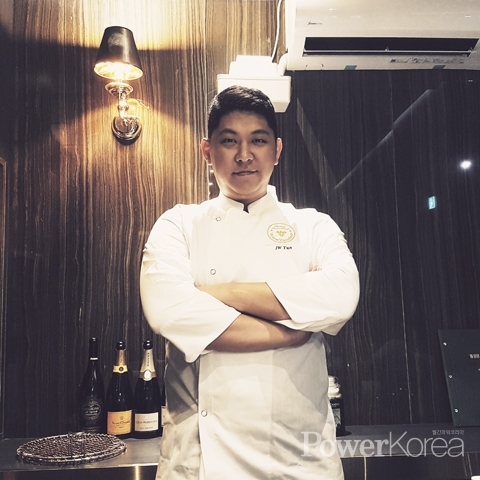 Located at Apgujeong-ro 42-gil, Gangnam District, Seoul, WOO TENDER is famous for premium Korean beef steak that even foreign gourmets pay a visit regularly to taste the ultimate Korean beef. WOO TENDER demonstrated how a premium Korean beef steak is prepared on tvn Wednesday Food Talk and received thumps-up by the panels. 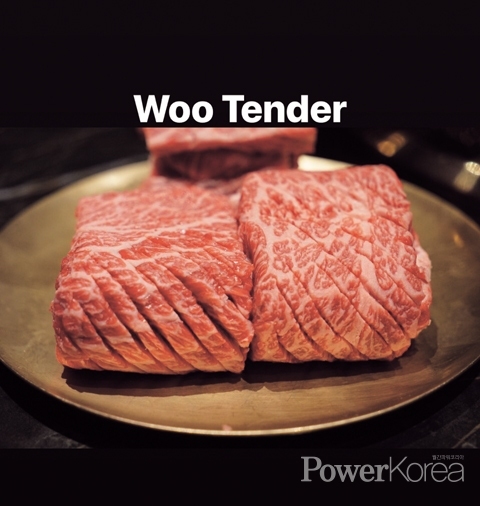 WOO TENDER uses only the ‘premium 1++ Korean beef’ that is sky scarlet on the skin before grilling while gives crispy outside and juice inside after grilling. The beef is served, grilled and ready to eat according to each order by specialist staff. The first floor has 5 tables with a room for convenient flow of mobility and the second floor 3 rooms for special and private occasions. The ‘grilling service’ especially is constantly talked over for realizing the just right taste of each part of beef and citron wasabi, pepper salt and truffle salt add flavors to an ultimate chewing experience. The grilling service is followed by the ‘resting service’ that keeps the juice inside and the ‘finish service’ sets the one-mouth-fully sliced beef on a dish with a visual charm. Try a glass of wine, whisky or highball according to your preference to wash a chunk of beef down. If you prefer you own alcohols from home, the ‘corkage service’ welcomes you to do so. All you need to do is just bring a choice of alcohol, sit back and chat with your company while the premium beef is prepared by the specialist staff. Since opening its door in December 2016, WOO TENDER has appeared a number of magazines and best restaurant guides including GQ Japan, Allure and Ahn Byeong Ik Siksin. WOO TENDER is to be listed on the tourist map of Hyatt Namsan Seoul this March and to open a branch in Haeundae, Busan. WOO TENDER is credited for introducing premium Korean beef steak. Yoon said “Japanese succeeded globalizing ‘wagyu’ beef with luxury brand image but Korean beef ‘hanwoo’ is still in the process. In fact, ‘hanwoo’ is tastier and neater but regretfully hidden behind the curtain for a long time. So, I feel a sense of duty as a Korean beef specialist and I hope WOO TENDER will make a substantial contribution to spreading excellence of premium Korean beef steak to the world. WOO TENDER recently won the 2019 Korea Brilliant People and Brand Awards in the category of premium Korean beef steak.